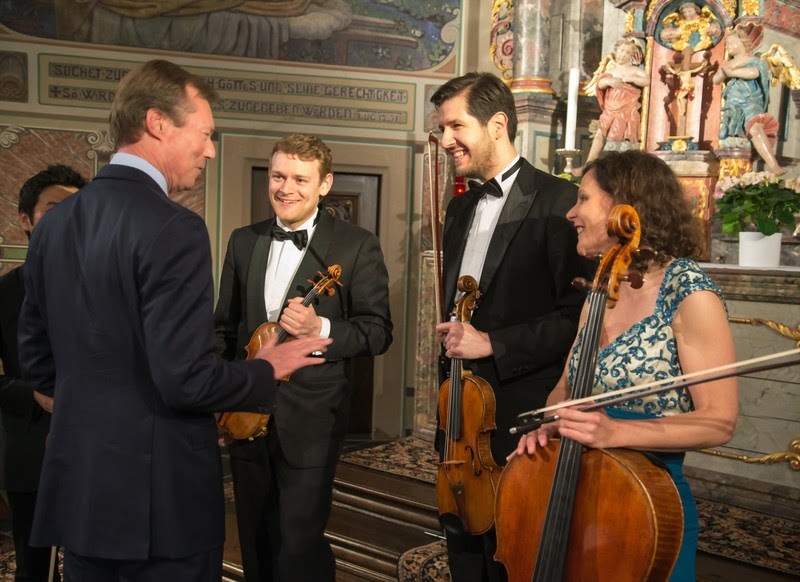 On Saturday, Grand Duke Henri attended a concert for De klenge Maarnicher Festival. The event, featuring "Quatuor Stradivari," was held at the church in Eschweiler and included string quartet selections from Haydn, Mozart, and Beethoven. No photos from the concert just yet. They'll be added if they're made available. Photos now available, from the Cour website. Grand Duke Henri also took time in Eschweiler to pay a visit to Luxembourgish author Lambert Schlechter whose home and extensive library of several thousand books were seriously damaged in a fire on Friday night. She has one of the best royal wedding dresses!